Are Senate Democrats really foolish enough not to line up behind President Obama's jobs bill? On Tuesday night, Majority Leader Harry Reid will try to bring the newly revised package to a vote. He won't succeed, because the chamber's 47 Republicans will vote unanimously to filibuster it. And it takes only 40 to succeed. Ideally, that would provoke a political backlash and Republicans would relent, allowing portions of the jobs bill (if not the whole thing) to get through the chamber. And if the Republicans wouldn't relent? Then at least Obama and the Democrats could point to that obstructionism during the fall election, giving the voters a clear choice about each party's priorities. 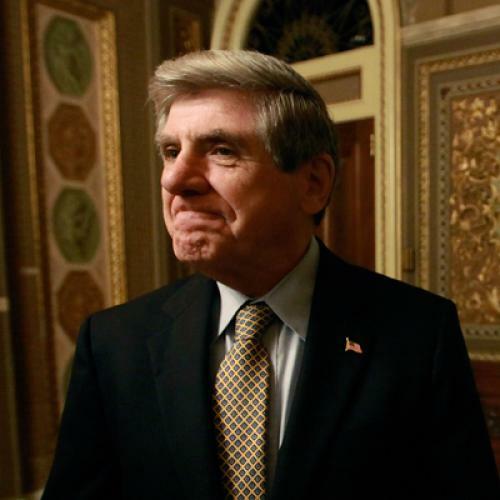 Nelson represents Nebraska and Manchin, newly elected, represents West Virginia. Both are running for reelection in states where the very word "Obama" is positively toxic, so I suppose I understand their political thinking. Never mind that the elements of the bill are popular. Supporting Obama on anything is a liability for them, particularly for Manchin who has little record of doing so before. But what about the others? Most of them have plenty of votes tying them to the president already. Their best bet is to present a united front behind a set of programs that they happen to like, substantively, and that can be credibly presented as an effort to do something on jobs. In an interview with me this morning, Greenberg made a strong case that moderate Senate Democrats in red states would be foolish and shortsighted if they vote against the American Jobs Act today, as some of them appear to be prepared to do. The White House and Dems have been railing against Republicans for opposing the jobs bill, but if a few Senate Dems defect, and a simple majority of the Senate doesn’t support it, that will dilute the Dem message that Republicans are the key obstacle to progress on the economy. But Greenberg’s case for voting for the bill went significantly beyond this concern about overall party messaging. He argued that moderate Democrats who vote against it are actually imperiling their own reelection chances. Crucially, Greenberg pointed out that if moderate Dems are hoping to show distance from the President and his low approval numbers by voting against the jobs bill, they run another risk: Dem disunity on the economy could backfire on them. Keep in mind that, as Ruy Teixeira argues elsewhere at TNR, Obama's new populism is not alienating swing voters. If anything, it's attracting them. Also keep in mind that the tax proposal, which is presumably the element that scares these moderate Democrats the most, comes from the office of Max Baucus, who knows a thing or two about representing conservative states. Now is not the time for ConservaDems to try to prove they are not really Democrats, when the Democrats are actually, finally, working on the issues that matter the most to the majority of people in this country, whether those people are in New York or California or Montana or Louisiana. Even Nebraska. Now, more than ever, it's time for Democrats to be on the side of the 99 percent. If they want to keep their jobs, that is.